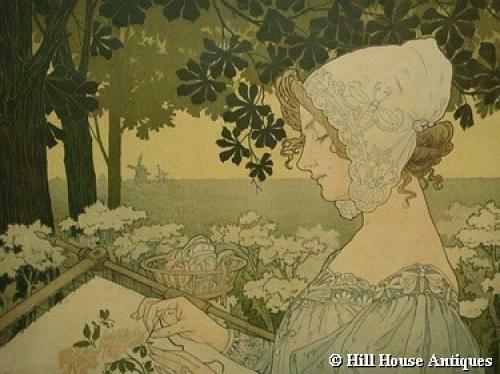 Beautiful French Art Nouveau original chromo-lithographic print, "La Brodeuse"; Privat Livemont, 1904. Nicely set in a Continental Art Nouveau shaped and stylised frame. Overall approx 22.5" by 22.5". Visible image approx 14.5" by 10.5".